Can your young skater skate the length of the rink with no help? Are they looking for an extra challenge? In our Small Blades program, skaters develop their edge control, body position, cross overs, and stopping. Our program focuses on confidence building and skill development through fun activities and games. During the season, skaters will have the opportunity to transition to speed skates if they wish. 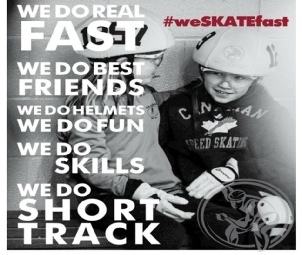 Email president@speedskatingkingston.ca for more info.